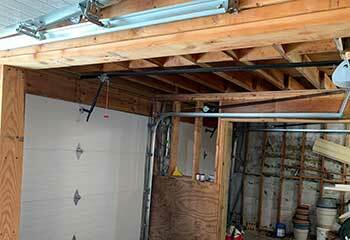 If you’d like to see some examples of the kind of excellent garage door repair services, we provide our customers, scroll down on this page! 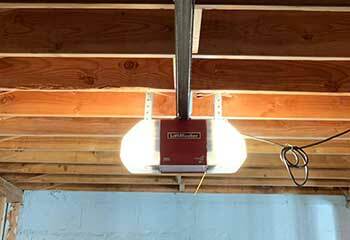 Customer Issue: The overhead door opener made a strange clicking noise when commanded to open, and did nothing else. Our Solution: Our team opened the device up and had a look at the motor and direct drive coupling. Sure enough, the motor shaft was defective, and had been increasingly bent out of shape. Fortunately for Ms. Jelierre, we had the right replacement part ready, and installing it was simple and straightforward. 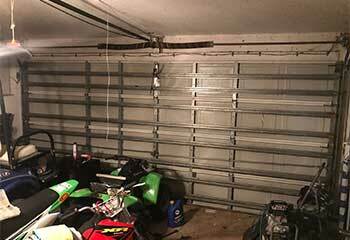 Customer Issue: Garage door should receive periodic maintenance. A responsible owner hired our team to provide it. Our Solution: Our team went over the system from the electrical outlet to the tracks. The sensors required minor realignment, and our technicians found a torsion spring that was close to breaking which they replaced immediately. After that, it was just some lubrication and safety testing to ensure nothing else was wrong. Our Solution: We first disconnected the opener from the door for safety before looking over the system. The broken cable was removed from it and a new cable was threaded through into place. Once it was secured, we thoroughly tested the door. 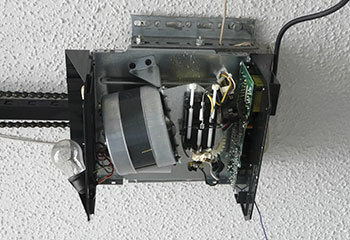 Our Solution: The problematic opener was almost 12 years old, and had to have its circuit board replaced. We suggested to have it replaced instead, and the customer was happy to do so. 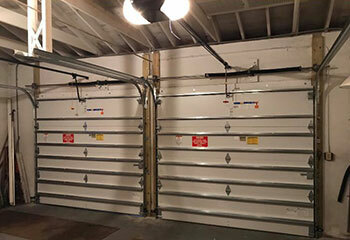 At his request we installed a new Chamberlain B1381 opener, set and programmed a new clicker and remotes. Lastly we ran one final test to make sure everything was working perfectly. Our Solution: One of our experts examined the customer’s torsion springs and found the one that had broken, removing what was left carefully. A new spring was installed into place and tested to ensure that everything was working properly and smoothly again.